Real pleasure in every step. Whoever likes the sound of this has come to the right place, not only having selected the right touring difficulty and baggage, but now also the best shoes. Many technical features, lightweight materials and a fantastic finish ensure an incredibly unique walking experience. Even mountaineering pros like Stefan Glowacz, Hans Kammerlander or Alix von Melle know the value in the attention to detail and reliability of Lowa shoes, and so all choose to wear the shoes made by this traditional Bavarian company on their expeditions and tours. They share their experience and new-found product ideas directly with the company - a recipe for success that results in uncompromising mountain shoes. Mountain sports can often be quite challenging. Lowa only uses specifically selected materials to meet the high demands of every terrain. Synthetic products, Nubuck leather and even full grain leather are used depending what is needed. Waterproof shoes use GORE-TEX among other things to ensure the best waterproofing and breathability. Vibram soles and other processes that ensure the best grip provide the necessary hold on mud and slippery rocks. Lowa recognized a long time ago, that there are more differences in the anatomy of women's feet than just a shorter sole length. Even if it is not immediately visible to the naked eye, there are plenty of technical details in their women's shoes that can be felt as soon as they are put on. From the tongue and the lasts to the midsole - everything is perfectly fitted to the anatomy of a woman's feet. A foot-like shape is made out of wood to create a last, which is then used to shape the shoe. It influences the fit of every shoe. Aside from normal, slim and wide lasts, Lowa makes special lasts that accommodate different needs, like an extended toe area for example. This allows them to create the perfect model for virtually every shape of foot. 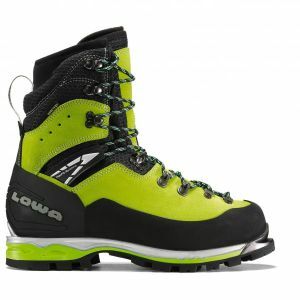 From all-round mountaineering shoes to expedition boots - Lowa has just the right model for every need. These shoes provide the perfect support thanks to their perfect combination of stability, support and flexibility. Your feet need the best support they can get when on extended trekking tours with heavy baggage. 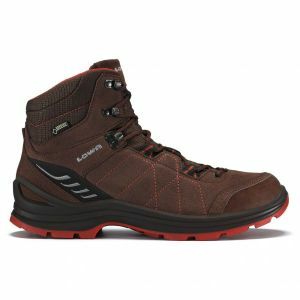 Lowa trekking shoes ensure the highest comfort thanks to their sophisticated footbeds, soles and constructions. When hiking, going for walks or just going about your everyday business, a high quality shoe will pay for itself. Lowa offers just the right model for every need for that extra bit of comfort and durability. Outdoor touring is the best thing for kids. Playing and adventures require the best footwear. Sturdy Lowa outdoor shoes will keep the kids happy and going throughout the day. Even if long-lasting shoes already ensure that resources are used to their full potential, Lowa still takes it upon themselves to keep focused on the environment. As a member of the European Outdoor Group, they support various reforestation projects in the Alpine foothills and many international environmental protection projects.